The key to building a sustainable online business is by building a high converting back-end. 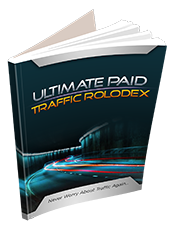 This will allow you to buy more front-end traffic and scale your business. At the Digital Sumo 2016 Live Event, Steve Gray covered how to build a high converting back-end for your sales funnel. Steve has built multiple 8-figure businesses and credit their success to having a high converting back-end. I’m positive you’ll love this presentation. Make sure you attend the Digital Sumo 2017 Live Event if you like content like the one in the video below. If you liked Steve’s presentation, you can grab the recordings of the entire Digital Sumo 2016 Live Event for free by going here.